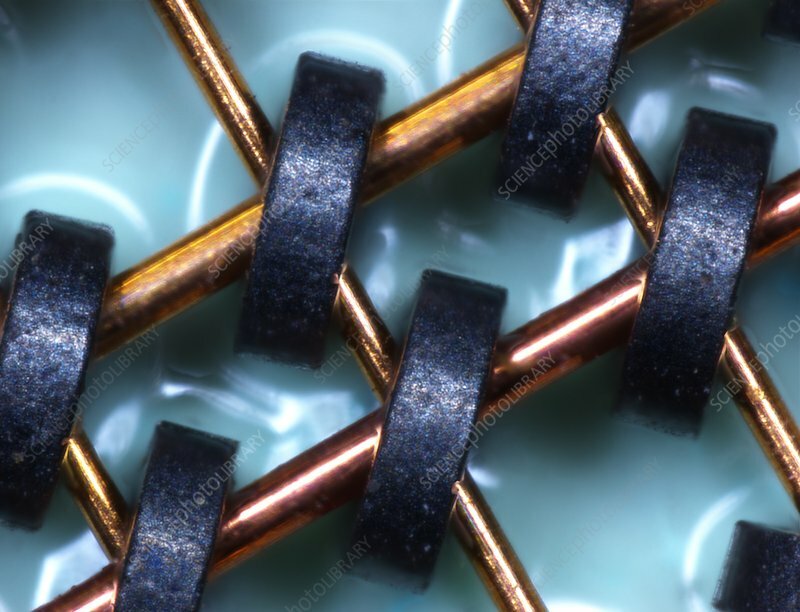 Magnetic-core memory array, macrophotograph. It uses tiny magnetic toroids (rings), the cores, through which wires are threaded to write and read information. This technique was in use for about 20 years between 1955 and 1975. Then integrated-circuit RAM (random access memory came on the market and are now the most common type of memory found in personal computers and different other electronic devices like cellular phones, USB sticks and printers. Object size of this section approx.